The Wealth of the Commons now in print. On October 10 and 11, I will be a presenter at the International Sustainability Summit, to be held at the European Sustainability Academy (Sharon Jackson, Director ). I will be speaking at the York LETS Conference on the topic, “Why local exchanges and currencies fail to thrive, and what is required to take alternative exchange to scale.” Booking at, http://yorkaltcurrencies-efbevent.eventbrite.co.uk/ . Info at Facebook. October 27-28. London. Events on Money and Alternative Currencies are being planned by Mary Fee of LETSlinkUK, http://www.letslinkuk.net/. Details will be posted here when available. Register for either at http://www.localwealth.co.uk/booking-for-tom-greco-events-in-lancaster/ . I think the chapter I wrote for this book is one of the most succinct and information-rich essays I’ve ever written, so I’ve posted it here on this site at Reclaiming the Credit Commons. “Quantitative Easing,” commonly referred to as “QE,” is a euphemistic expression for currency inflation, i.e., the creation of money on the basis of junk securities and empty promises. On September 14, Ben Bernanke announced that the FED would continue to inflate the dollar on an ongoing basis for “as long as it takes.” A week earlier, European Central Bank president Mario Draghi announced a similar plan to save the Euro by buying the bonds of euro-zone governments, notably Spain and Italy. “There will be no “ex ante limits on the size” of the purchases, said Draghi.” He sugar-coated the bitter pill by saying, “governments that want the ECB to buy its bonds must agree to a program of reforms and oversight by the bailout funds and possibly the International Monetary Fund.” We know what that means for the ordinary person. Two of my recent posts address these announcements (https://beyondmoney.net/2012/09/20/qe-ad-infinatum/, and https://beyondmoney.net/2012/09/21/et-tu-ecb-inflating-the-euro/). In recent weeks, I’ve been re-reading some of E. C. Riegel’s essays. I’ll be posting the more important ones from time to time. Here is one that, although written more than 60 years ago, seems especially timely: The Right-wing Socialists. Another important Riegel essay is, Breaking the English Tradition, which years ago I embedded, with my comments in a post to my other website Reinventingmoney.com. 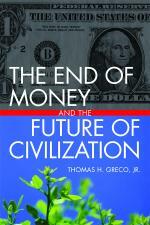 That post titled, The Politics of Money, can be download at here. This entry was posted in Developing Alternatives, Geo-politics, My activities, The Political Money System and tagged crete greece, Greco tour, inflation, QE, quantitative easing, Riegel. Bookmark the permalink.